Here you'll find the most recent additions to Community Art Share. 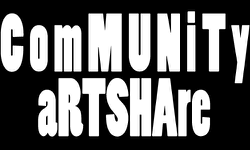 These are all of the contributors to Community Art Share. Musicians, Painters, Designers of all Sorts, Yogis, Performers and Awesome People. In the Peace of the Day gallery you'll find anything and everything from colorful visual art and apparel to inspirational quotes or trinkets. Many pieces come from artists of the community.